Today is where the future begins in the luxury class. Not my words, but the words of Audi, which has revealed its new A8 saloon in Barcelona today. 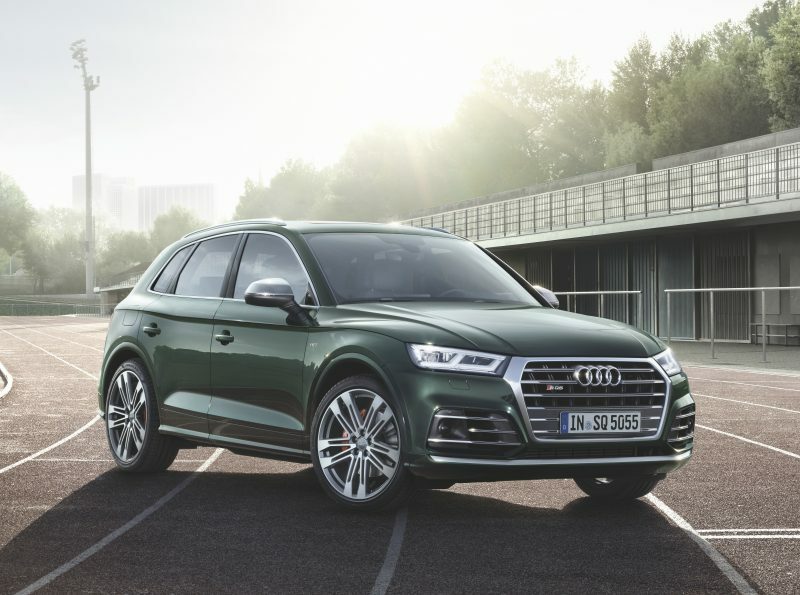 The new model features new styling, a fancy touchscreen and boundary-pushing technology. This won’t come cheap of course, but we’ll have to wait later on in the year for prices. What I can tell you is that the car will be ready to order in September, and deliveries will come towards the end of the year. 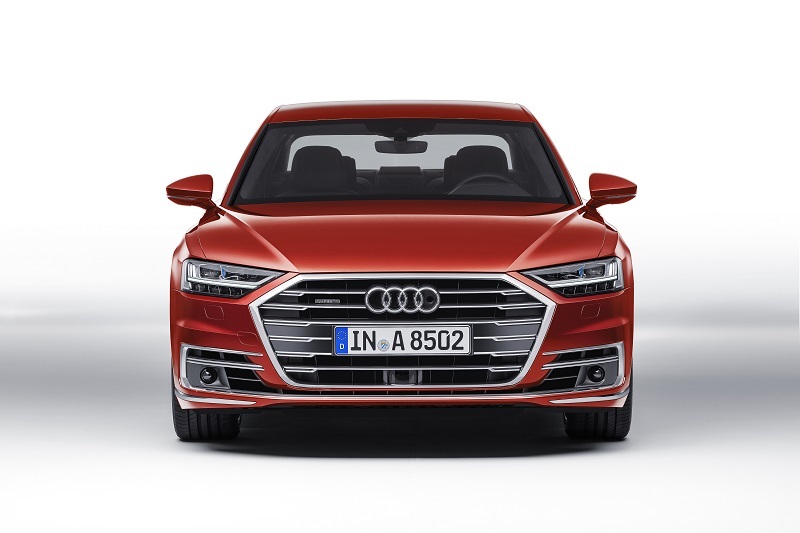 Technology appears to be the order of the day in the new A8 as it’s home to new features such as a large 10.1″ touchscreen, automated driving system and dazzling headlights. Inside the cabin, the rotary and touchpad system has been ditched to make way for a new sleek touchscreen, which clicks on touch and uses touch gestures, ensuring that it’s as smooth as velvet to use. The sat nav system is now able to remember routes, meaning future destination searches are more intelligent, plus it has 3D mapping for major European cities. The inside will be home to plenty of tech, as well as premium materials. Not sure on that steering wheel design though. Step outside the car you’ll note the the Matrix LED headlights either side of the large singleframe grille and at the back you’ll see that the rear lights stretch all the way across to form one seemless light, which reminds me of the X-Men character “Cyclops”. That’s not a bad thing by the way. Overall, the new A8 looks pretty sharp, but I suppose that should come as no surprise, as I can’t remember the last time I saw a bad looking Audi. 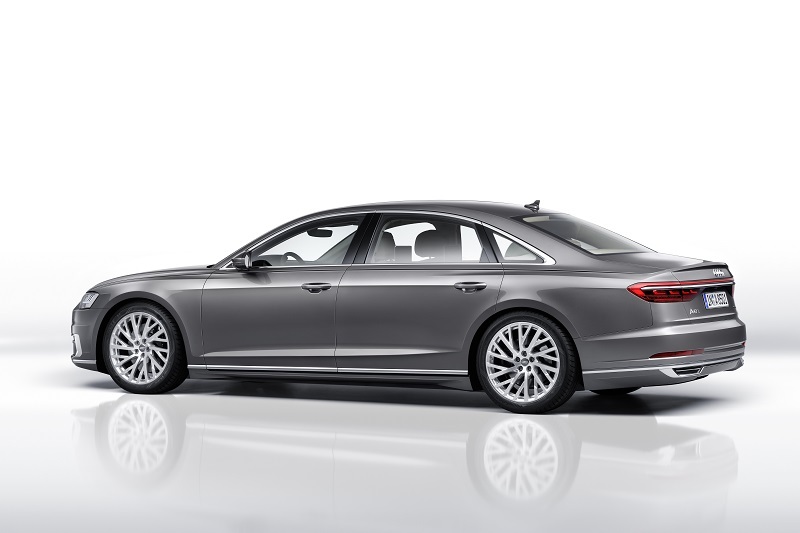 The Audi A8 is the first production car to have been developed specially for highly automated driving. 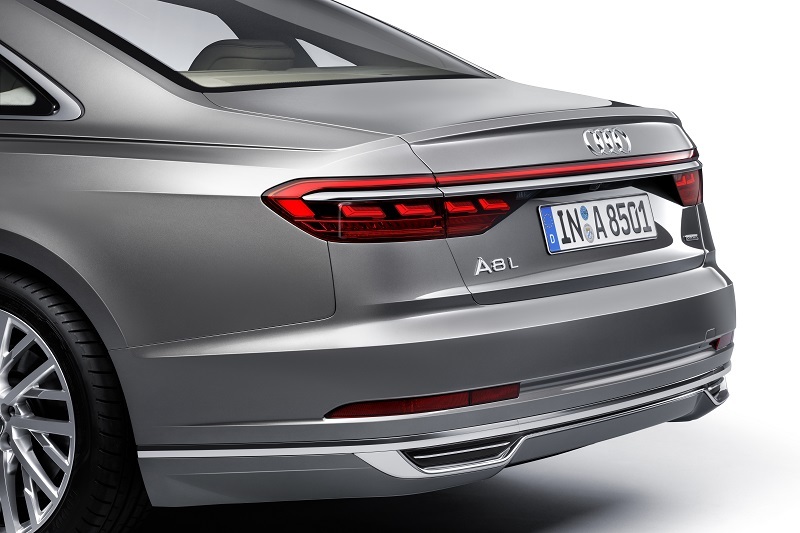 To put that in to plain English, the A8 will offer system such as Audi AI Traffic Jam Pilot, which takes over from the driver in slow-moving traffic. The system is actually able to work at speed up to 37mph and will drive, brake and steer the car by itself, leaving the driver free to take part in other activities. However, it’s worth noting that certain markets will not legally this tech to be used just yet, so don’t get too excited. 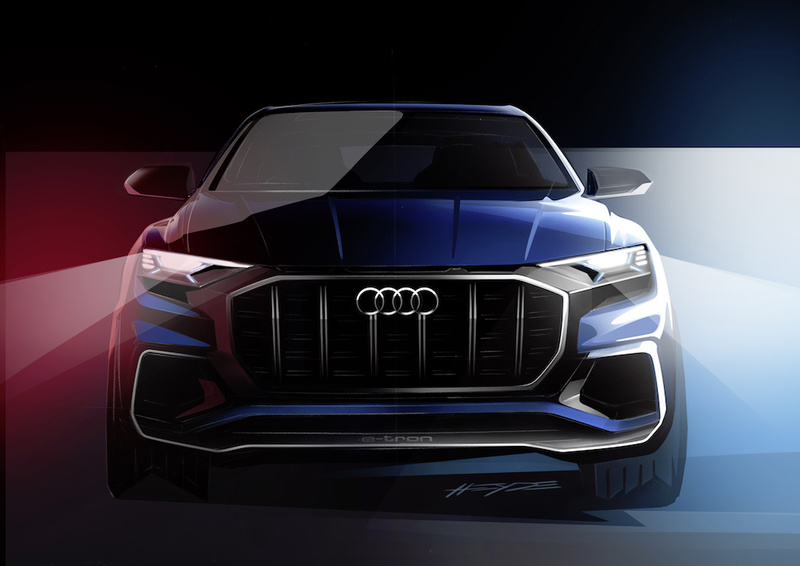 The system makes use of radar sensors, a front camera, ultrasonic sensors, plus a laser scanner is used – Audi is the first car manufacturer to adopt this. As well as the Traffic Jam Pilot, the A8 also has Remote Parking Pilot, which means the car is able to park itself in to either a parking space or a garage. Better still, the driver doesn’t even need to be in the car and they can monitor progress using a smartphone app. To begin with the A8 will be available with either a 3.0 litre TFSI petrol or a 3.0 litre TDI diesel, both of which have been re-engineered. 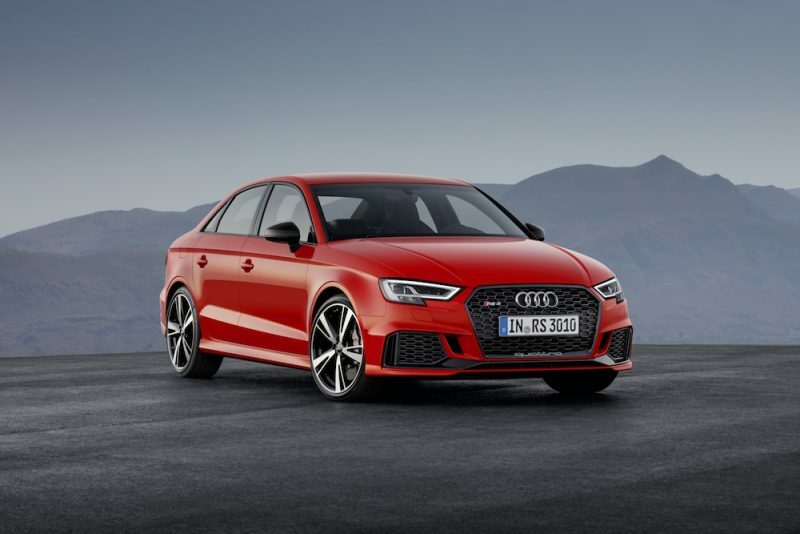 The petrol produces 335bhp whereas the diesel produces 282bhp, however, there will be a more powerful 4.0 litre eight cylinder diesel available later on which produces 429bhp. There will also be a 6.0 litre W12 engine for even more power, which will be saved only for the top of the range model. All engines will have a mild hybrid system to help with efficiency plus the engine is able to to switch itself off when the car is coasting. If you fancy your A8 being even more greener, then you can take a look at the A8 L e-tron model, which is a plug-in hybrid which is powered by the 3.0 litre TSFI coupled with an electric motor to produce a total power output of 443bhp with 700Nm of torque. 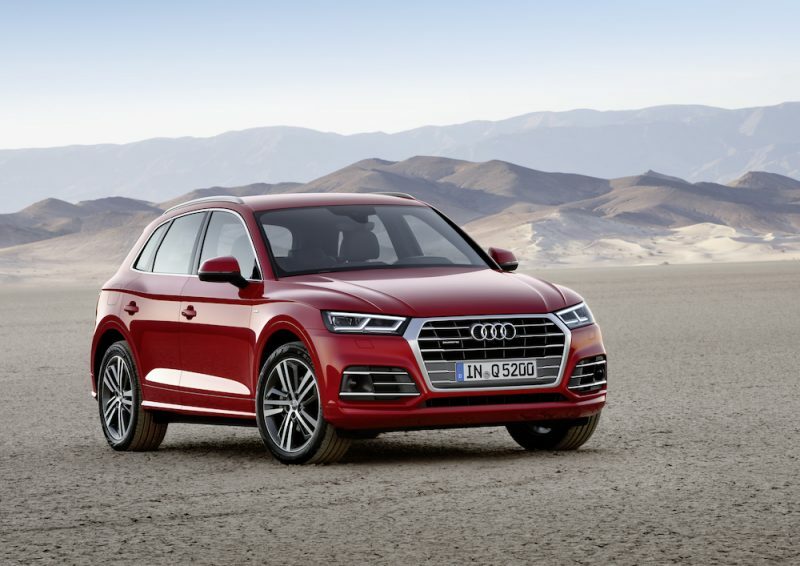 All models will be fitted with quattro all wheel drive system as well as Audi’s AI Active Suspension, which can be raised and lowered to suit the driver’s needs, plus if the car detects an imminent collision, the car will raise itself to help protect occupants in the event of a crash. 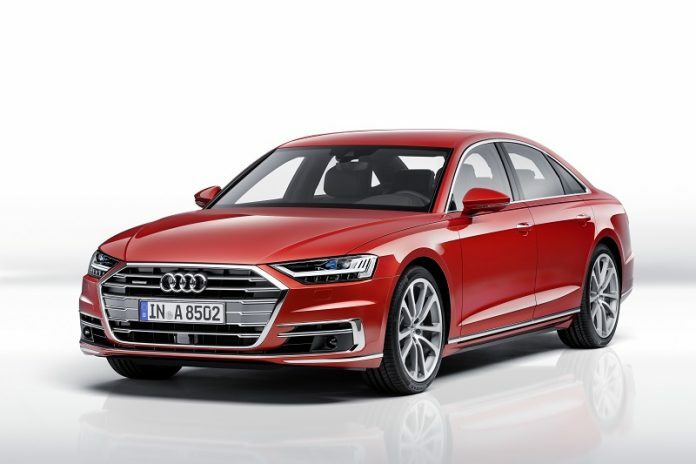 Prices for the new Audi A8 are yet to be announced but it will go on sale in the UK this September.